The Cavalier Phoenix Firebird is a vintage build Gibson® Firebird® that uses 42AWG coil wire, AlNiCo 5 bar magnets inset into individual mini bobbins, chromed nickel-silver cover, fully vacuum wax potted and fitted with the new plastic covered braid shield over dual conductor leads that allows for phase reversal. Supplied with machine mounting screws and height tubing. 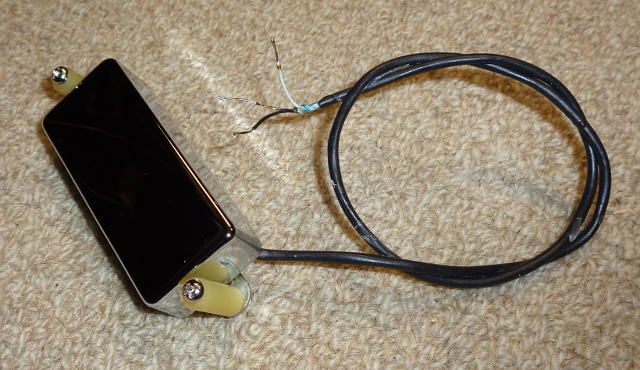 The Phoenix Firebird can be wound and calibrated for the neck postion in a Tele®, or two or three Phoenix Firebirds can be wound/calibrated to suit a particular guitar and sonic requirements. 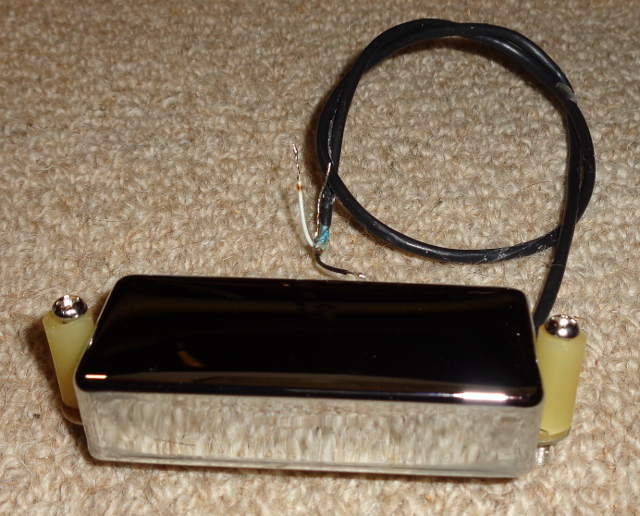 It can also be a direct replacement for any existing Firebird® pickup, and can be calibrated for position sensitive output and tone. The Phoenix Firebird dimensions are 2.70" long, 1.125" wide, .625" high. Shipping for each entire USA order is $9.00 USPS Priority. USPS International 1st Class is $13.00 for Canada and $17.00 for the rest of planet earth. Pickups are built and shipped within seven business days. RETURNS - The Cavalier return policy is simple - there is NO return policy, unless there is a verified build defect (see Warranty). 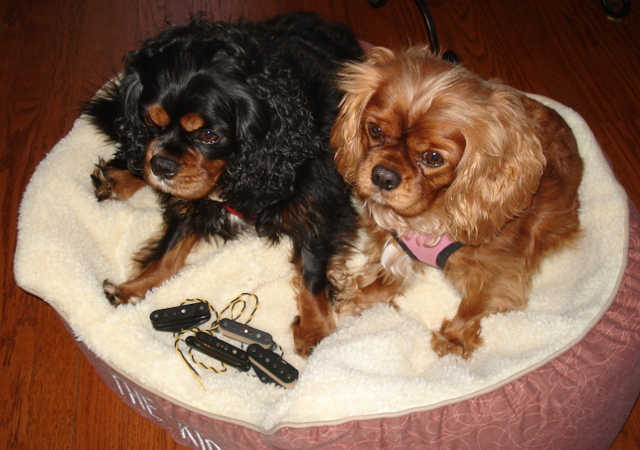 However, there is a 30 day swap allowed - return a pickup in both working and visual order, and no shortened leads, for another Cavalier pup of the same value. The fee for this service is $17 (which includes return shipping to you), and $10 for each additional return-for-swap pickup. DO NOT RETURN MERCHANDISE WITHOUT FIRST CONTACTING CAVALIER PICKUPS. Communications is everything. FretTech partscaster Tele-Bird direct into a Li'l Dawg Prince 5F2A w/12" Weber Vintage AlNiCo speaker, no modulation. 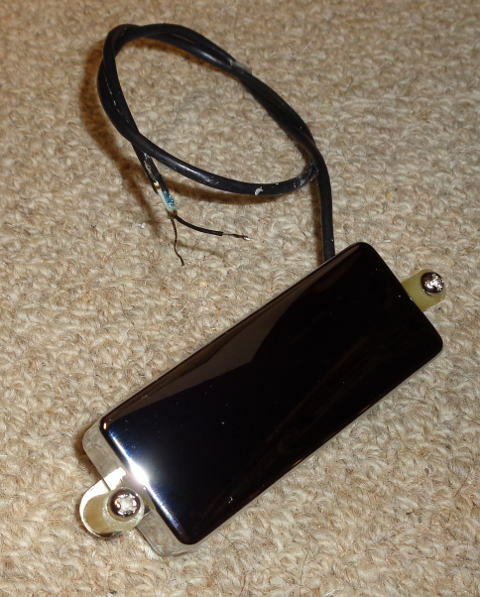 FretTech partscaster Tele-Bird into a Big Muff direct to the board.